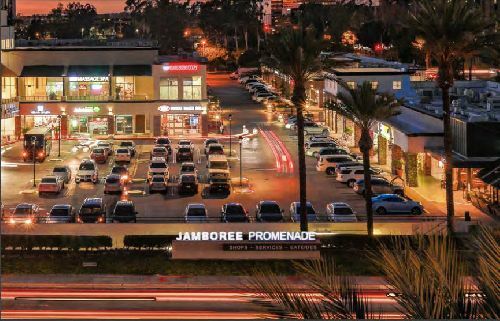 Pole Capital USA, the U.S. division of a Singaporean real estate investment company, recently acquired Jamboree Promenade, a 56.9k sf shopping center in Irvine, for $42.5 mil in an all-cash deal. The asset was later financed with a $20 mil loan arranged by CBRE. Located at 2626-2646 Dupont Dr, south of I-405 at Jamboree Rd, the center is 97% occupied and anchored by CorePower Yoga, The Melting Pot and Daily Grill. There are more than 250,000 employees and 18,000 businesses within a three-mile radius of the property, which sits just off the I-405 freeway and directly across the street from Trammell Crow’s nine-story, 545k sf Class A office building. Shaun Moothart, Bruce Francis, Dana Summers, Bob Ybarra and Doug Birrell of CBRE’s Debt and Structured Finance team arranged the seven-year loan. The five-year, interest-only loan was funded through an institutional fiduciary fund manager at a very competitive sub-4.5% fixed rate with prepayment flexibility. “Jamboree Promenade sits in an irreplaceable location within the airport area along the Jamboree Road corridor, which enabled us to attract debt capital from across the lending spectrum,” said Moothart.